Our team is strong. Four more players will allow us to enter into Clan Wars. Still need a few more guys, anybody ready to join us yet?? come on guys you know you want to, very generous clan we are. Welcome to two more players - Andrew V (blkdrew) and ~Bambus~!!! 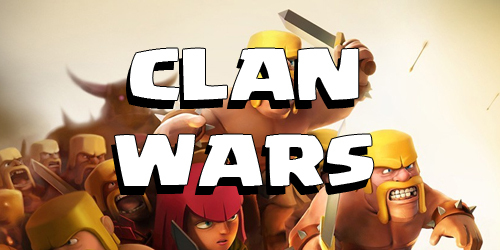 We only need 2 more players to begin Clan Wars!!! Nearly there thanks for the hard work Sky! How many in the clan? We have 7-8 spots open in the clan I am in if you ask want to come over. We war three times a week. Lvl8 clan with plenty of active people who donate. Depending on how many, I might have to kick one or two less active accounts. We have 10 members now. What's your user name, Aaron? I just tried to join, it looks like you accepted me but I am not there. Can you kick cohiba and I will try again. I am building up everything in my clan before up I upgrade my TH. I'm ready to war again! You guys still active? My clan is dying a slow death. Yes we are come on over to the Dark Side!